The City of Trees is Full of History! Starting in 1863, Boise has been a major city in the state of Idaho. The city is over 150 years old, so it’s no wonder that Boise is full of historical landmarks, buildings, and other relics. 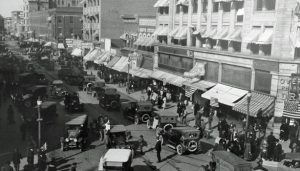 Check out some of Old Boise’s must-see locations! This is the building that started it all! In the 1800’s, this building used to be a fur-trading post at the mouth of the Boise River. After the year 1841, the fort became a place for travelers to get supplies. However, this only lasted until 1854 when the Company abandoned the fort (the fur trade was starting to decline). Because of this, another Fort Boise was constructed. This time, the fort was used as a small military post to protect local miners and emigrants from Native conflict. Boise (the city) was then placed between the fort and the Boise River. 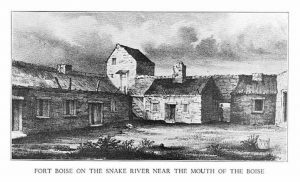 Eventually, Fort Boise became a community center for hosting everything from concerts and theatre productions to religious events and Christmas festivities. Today, this fort is now known as the Boise Veterans Administration Medical Center. This building stands right on the outskirts of Downtown Boise on the corner of Vista Avenue and Federal Way. 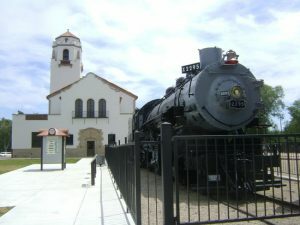 In the early 1900’s, this station was used for the great Union Pacific Railroad. Architects from New York built the station (which was opened to the public in 1925); this can be seen through the intricately carved sandstone drinking fountains, the bell tower, and the paintings of locomotives. When the depot first opened, thousands of people from all across the country came to see it! It was at this point that the Boise Depot became one of the most beautiful buildings in the entire Northwest. Although it was very beautiful, the station itself was only in service for about seventy years (it closed down in the mid-1990’s). Today, it is registered as a historical structure. Tours are held almost every day and can even be rented for special events like weddings. It is also a popular place for pictures of Downtown Boise, as well as the backdrop for sessions such as family photos and graduation pictures (since part of a train still sits on the tracks!). The Platt Gardens are also a part of the depot, full of trees, rocks, bushes, and even a pond of huge Koi! You can also find benches along the way to sit and enjoy the view of the Downtown skyline. This old jailhouse is on the eastern side of Boise right off of Warm Springs Avenue. First built in 1872 on over 230 acres, this building served as the main prison in Boise until 1973. Men and women from all walks of life spent their time here. When prisoners were first brought there, they went straight to work by building a wall around the perimeter (made of sandstone). Once the wall was completed, inmates made things like license plates, shoes, and shirts. During its operation, about 13,000 inmates were housed here (and ten of them were executed behind the walls). Because of unfair living conditions, two different riots broke out, one in 1971 and the other in 1973 (this was just before they got moved to a more modernized prison). This prison is now a registered historical site visited by hundreds of visitors each year. This fire station was built on the remains of the old fire station, which ironically burned to the ground. The original building was a one-story building in a converted blacksmith shop. The new one (built in 1883) was a two-story building that housed full-time firefighters. 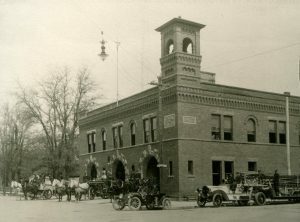 It was originally known as “City Hall Fire Station”, but it was soon changed to “Central Fire Station”. Since then, the fire station has moved to a different area (in 1980), and the old station was converted into a restaurant and some private offices since 1985. This building stands right in the center of Downtown Boise and is one of the largest relics in all of Old Boise. The building itself was made out of sandstone and was completed in the early 1900’s. For a long time, the Boise Capitol Building was the tallest thing in the whole city! 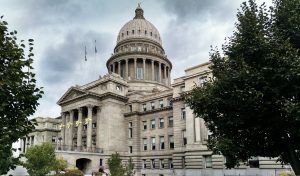 It is (and always will be) the center of Idaho’s executive and legislative branches and is also of great historical and current value. Tours are held inside and is a place for the people of Boise to have their voices heard. This building was constructed in 1910 and was used as a store that sold awnings, tents, wagon covers, and other outdoor sporting goods to travelers and residents alike. It soon became one of Idaho’s first and largest businesses of its kind! 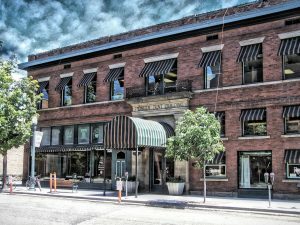 Today, the building has since been renovated and is occupied by two restaurants and a design studio on the first floor, as well as a number of small businesses on the second floor. This is actually a little section of Downtown Boise that is filled with tons of historical buildings (including the Capitol Building, Fire Station, and Tent Building) that are over one hundred years old! Exploring this part of town is an educational journey that helps visitors from all over the country remember those who came before them and to commemorate their lives and greatest accomplishments. Downtown Boise is filled with incredible local businesses and activities! Click here for a list of awesome things to do in Downtown Boise on a Friday night! As you can see, Old Boise has plenty of history for you to discover! There are other buildings that haven’t been mentioned, so please feel free to visit all of them. There is also a walking tour of the downtown area, which will help you see most of the buildings and other relics quickly and easily. If you have any questions regarding tour times or hours of business for any of these locations, give them a call or visit their websites for more information. Your visit to each of these places will give you a sense of awe and admiration for those who built our beautiful City of Trees! Looking for more reasons to make Boise your next home? Click here to read our blog filled with reasons to relocate to Idaho!